One of the most versatile instruments in the woodwind family, the saxophone has sparked the imagination of composers of every stripe since its invention by Adolph Sax in 1841. Some draw upon the pure, lyrical quality of the saxophone’s tone while others make use of its abstract, sometimes dissonant sound capabilities to explore new aesthetic terrain. In this release, composers are inspired by a variety of sonic sources: the human voice in Kati Agocs’s Coloratura, the underlying hum of a dense city in Kristin Kuster’s Breath Beneath, and the flavor of Middle Eastern music in Roshanne Etezady’s Keen. Ross Feller, Zack Browning, and Rand Steiger look to more abstract and personal sources in the creation of their works. Together, the music on this release offers a snapshot of the many moods and sound worlds that the saxophone, alone and in combination, can produce. 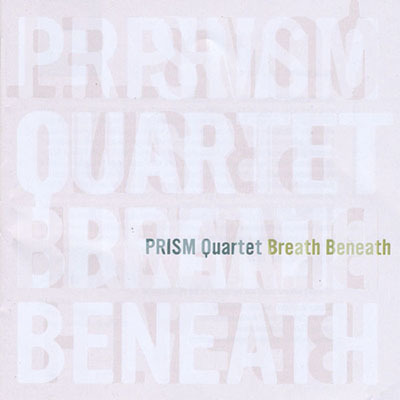 New Dynamic Records is privileged to share this disc of our featured ensemble, the renowned PRISM Quartet, with listeners around the world. Through their artistry and virtuosity, the members of PRISM — Timothy McAllister (soprano saxophone), Zachary Shemon (alto saxophone), Matthew Levy (tenor saxophone), and Taimur Sullivan (baritone saxophone) — bring these incredibly challenging works to life. ©2017 IU Southeast. All Rights Reserved.